Panaji (Goa) [India], Oct 16 (ANI): The Congress party's Goa unit in-charge, A Chella Kumar on Tuesday accused state health minister Vishwajit Rane, of poaching two Congress MLAs to join the BJP. His remarks come in the wake of two Goa Congress legislators, Dayanand Sopte and Subhash Shirodkar, leaving for New Delhi to meet BJP president Amit Shah ahead of joining the BJP. Speaking to ANI, Chella Kumar said, "Before they left, I had a talk with them, they told me that we will be back, we will not leave the Congress. Particularly, Sopte told me - 'people in the Mandrem constituency have voted against the BJP and defeated the then-chief minister by a huge margin. How can I go against the wishes of the people? Don't trust these gossips, I am a principled man, I will not leave the Congress party'." The Goa Congress chief claimed that he sensed fear on their faces when he spoke to them. "Then when I enquired, I got a message that Vishwajit (Rane) is the man who has convinced these two and took them to Delhi. 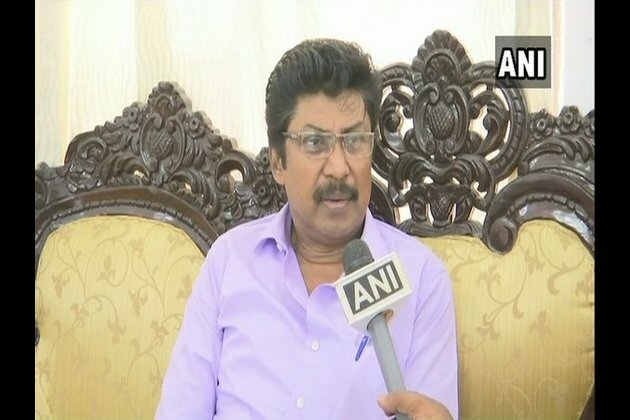 I think he has bargained with the BJP high command that if he brings these two MLAs, he should be made the chief minister," Chella Kumar said, adding that when Rane switched allegiances from the Congress to the BJP, he revealed that Shah and Prime Minister Narendra Modi were "after his life." "When Vishwajit left Congress, he called me and said that BJP national president Amit Shah and Narendra Modi were after his life. Then he left and we were out of touch. Later he started calling me regularly, and all the time he used to tell me 'Dr don't underestimate Amit Shah-Narendra Modi combination. They are cruel, ruthless people. They are not scared of killing anyone'. I'm worried if these two MLAs were also threatened like him," Chella Kumar added. However, Goa Assembly Speaker Pramod Sawant confirmed that the two MLAs were making the switch "willingly," and "without any pressure." "I have received the resignation from two Congress MLAs - Dayanand Sopte and Subhash Shirodkar. They confirmed they're doing this willingly, without any pressure. I have accepted the resignations. The process will be completed and the copies will be sent to all members of House, Governor and the Election Commission." While confirming his and Sopte's switch to the BJP, Shirodkar told ANI, "We are joining the BJP today. We expect two to three more MLAs to come, not today but in the coming days."